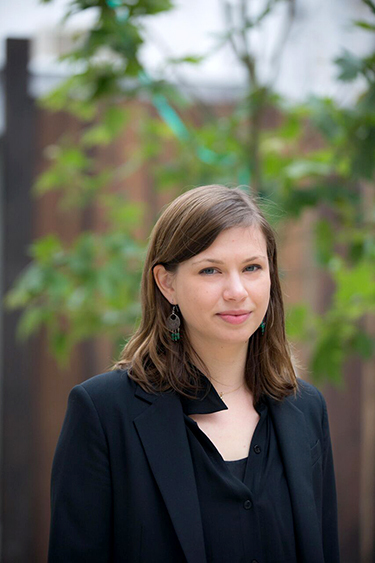 Assistant professor of history and Jewish Studies Alma Rachel Heckman has been appointed as the new holder of the Neufeld-Levin Holocaust Endowed Chair at UC Santa Cruz. The interdisciplinary endowed chair was established in 1995 by Anne Neufeld-Levin, a former president of the UC Santa Cruz Foundation Board of Trustees, to support teaching, research, and public service related to the Holocaust, including its circumstances and continuing implications. At that time, Neufeld Levin also donated a body of Holocaust-related artifacts to establish The Neufeld Family Archive, which is housed in Special Collections of the University Library. The archive includes wartime identity papers and passports, medals, stamps, photos, and letters which were carefully preserved--first by her parents and then by Levin. 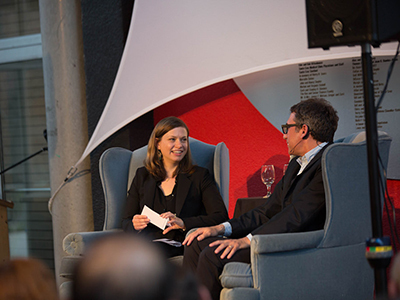 A specialist in the modern Jewish history of North Africa and the Middle East with an interest in transnationalism and empire, Heckman said she was very excited and grateful for the opportunity to serve as the new chair. “With the help of the Neufeld-Levin Chair, I plan to continue the strong Holocaust studies curriculum on campus, an annual lecture series, as well as public history and digital history projects that work toward democratizing an increasingly sophisticated understanding of Holocaust history and its global implications,” said Heckman. As a scholar of the Holocaust’s effects on the Middle East and North Africa, Heckman added that she hopes to use the chair to provide educational and programmatic opportunities not commonly available in Holocaust history curricula. Heckman noted that she also has a number of ongoing projects with members of the Santa Cruz community who either were themselves European Jewish refugees in North Africa during the war, or recorded interviews with them. These projects involve digitizing, transcribing, and eventually publishing interviews, photographs, and stories so that this information becomes available both to the local and scholarly communities. Heckman is currently at work on a book manuscript entitled, “Radical Roads Not Taken: Moroccan Jewish Communists, 1925-1975.” She recently submitted a chapter for an edited volume titled On the Margins of the Holocaust, sponsored by the United States Holocaust Memorial Museum, and has presented talks based on her research at numerous national and international conferences.